Change Gmail Default language if you prefer to use Gmail in a language other than English. While English is the default Gmail Language, you can choose from over 20 foreign languages to customize your Gmail experience. As millions of people use Gmail, it is only natural for them to make this available in multiple languages and Google has done a great job at customizing the Gmail experience for everyone around the world. To change Gmail default language, follow the simple steps outlined below. 3. 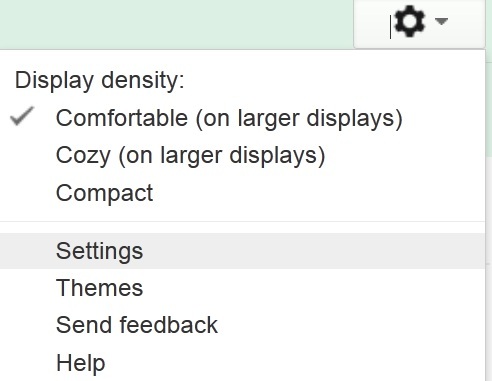 To change Gmail default language, scroll to the Language Settings. You can choose from a list of over 20 languages Google offers Gmail in. Note this specific language setting is for Gmail only. Choose the language of your choice and click Save Changes at the bottom. Gmail will now display all text in your new Gmail default language setting. Gmail is one of the most popular email services online thanks to the robust features and simplicity it provides users. The ability to chat, search and share interesting content with your email contacts in one place has made Gmail one of the most popular services online. Gmail has made the email service available to people of all countries and culture thanks to the great customization efforts of the Gmail team. While Google Translate is one of the best Translate products available online, Google has gone a step further and made many of its services available in multiple languages given Google has a global footprint in almost all countries worldwide. This makes for an exciting product and also the social integrations of Gmail provide users with a great user experience – the ability to chat, search email and share rich content through Google’s social network – Google Plus.